Is English your mother tongue? If not, you know how difficult it can be to learn it. Or used to be, according to the company Open English, which is using the Internet to change the way Latin Americans study “the language of business”. Founded in 2006 and launched commercially in 2008 in Venezuela, its founders’ country of origin, Open English is an interesting example of a successful Latin American startup. Following its first expansion in 2010, it is now present in 15 Spanish-speaking countries, and plans to launch in Brazil in the second half of 2011 thanks to the new round of funding it closed earlier this month. US-based Flybridge Capital Partners invested $4.25 million in this recent Series B round. In November 2010, it had already contributed with $1 million to the Series A round initiated in April 2010 by investors including the Central American company GrupoTVOffer. So what’s the business model that led Flybridge and others to invest over $10 million so far? It’s both simple and disruptive: Open English is an online English language school. Classes are taught virtually by around 100 native teachers, based all around the world. Students pay $1000 to get a one-year access to the online platform; 12,000 have already signed up. According to Open English, they will need about 12 months to become fluent English speakers. Andres Moreno, from Venezuela, is the company’s founder and CEO. The son of a diplomat, he grew up in 8 different countries and speaks 4 languages – including, of course, a flawless English. His co-founders were his classmates at Universidad Simon Bolivar, where he studied Engineering. He is also the face of the company, literally: he acts in the company’s TV ads! Besides this amusing detail, this series of commercials, in which someone who studied offline competes with an Open English student played by Andres, tells a lot about the way Open English positions itself. Its main competitors are offline schools such as Berlitz and Wall Street English, rather than other websites. According to Andres, these schools used to be the main option available to Latin Americans who wanted to learn English. As for the existing online learning destinations, they were mostly complementary: students used them as a cheap but lacking source in addition to physical classes. His ambition for Open English was different: he wanted it to completely replace Berlitz and the likes. He decided to focus on the impediments and offer a cheaper, more convenient and efficient way to learn English. Being online-based made it easier for Open English to undercut its competitors on price: while offline Latin American schools have to pay a lot for the rare native English teachers in town, Internet meant that Open English could hire qualified teachers in any country, making it much more affordable. It also means that students don’t have to physically go to school and can fit the classes into their schedules, which changed a lot of things: according to Andres, peak time on Open English is… 11PM! Another key differentiator of Open English is personalization: students are guided by a “personal study advisor” who plays the same role as a gym coach and will recommend specific lessons tailored to a student’s needs to make sure they remain motivated and engaged, which is not always the case in a regular language school. Thanks to the Internet, students can also be based anywhere in their countries as long as they have broadband access, which is growing very fast in the region. They don’t need to live in a big city, and many of them don’t. Andres has a funny anecdote on this: Open English once received a tech support request from a prisoner! Just as its students, Open English too is geographically dispersed through Latin America. 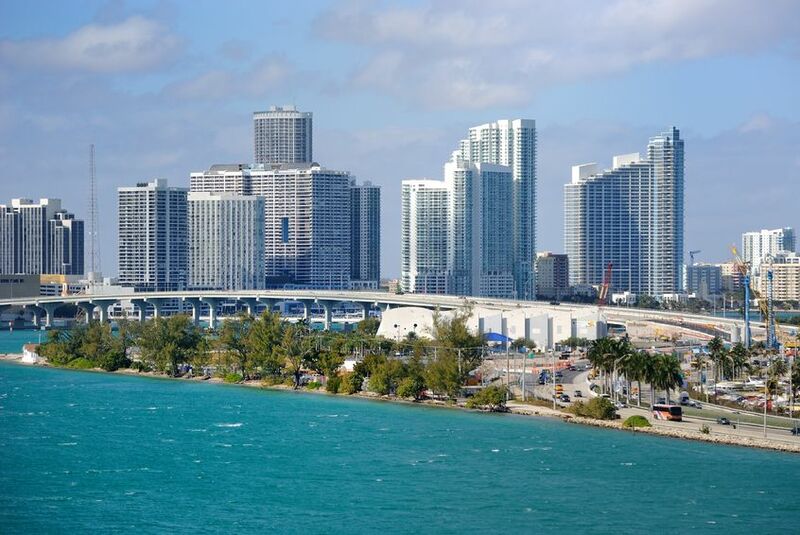 It has headquarters in Miami, where 10% of its 200 staff is based: its senior operations, marketing, content production and teachers’ management teams. It also has sales and finance teams in most of the countries it operates in (including its next market, Brazil). The need for local finance offices is linked to the fact that most Latin Americans don’t have credit cards: they need to be able to pay in several installments and via alternative options such as local bank transfers. As for programming, the company’s initial and main team is based in Venezuela, assisted by another in Colombia, focusing on front-end design; Open English is also setting up a third programming team in Argentina. Servers are based in Bogota, a great data center location according to Andres. It is important to note that until 2009, the company’s office was in California: it seems that being based near the Silicon Valley is still crucial for fundraising, especially for the first round. On the other hand, moving to Miami once kickstarted helped Open English hire the Latin American specialists it needed. Andres thinks that such talents would have been hard to find in the Silicon Valley; he gave the example of the company’s CFO Thomas “Tigre” Weinrich, who had previously worked for The Boston Consulting Group in Mexico for 16 years. Andres also noted that things are changing for the best: at the time he started raising funds, the investors’ attention was more focused on China and Asia than Latin America. VC money is now coming to the region. An example of this shift is the Americas Venture Capital Conference, in Miami, whose goal is “the development of global innovative firms throughout South Florida and Latin America”. Open English won the CP Capital Emerging Venture Prize there last year. Andres is convinced that Latin America now represents a tremendous opportunity for investors and wants to help build awareness of the region and its fast-growing number of highly engaged Internet users. He is also trying to evangelize other aspiring entrepreneurs, thanks to his blog and to talks he gives at Latin American universities, in the hope that some students will take a chance and start their own venture. From Latin America to the world? Despite his engagement for the region, in the long run, Andres Moreno hopes to expand his company “much beyond Latin America”. In this perspective, Brazil will be a test. It will be the first non-Spanish speaking country Open English operates in, but the platform is easy to adapt: the classes themselves are in English; Open English will only have to translate the service components (personalization, support, etc.). Spain and Portugal could come next, with Turkey, Russia and Eastern Europe on the mid-to long-term map. These are surely ambitious plans, but not unrealistic considering how fast the company has grown so far. Do you find this story inspiring? Do you know other Latin American startups with global expansion plans? Read next: Improved notifications, NFC and voice control: What's next for Apple's iPhone?